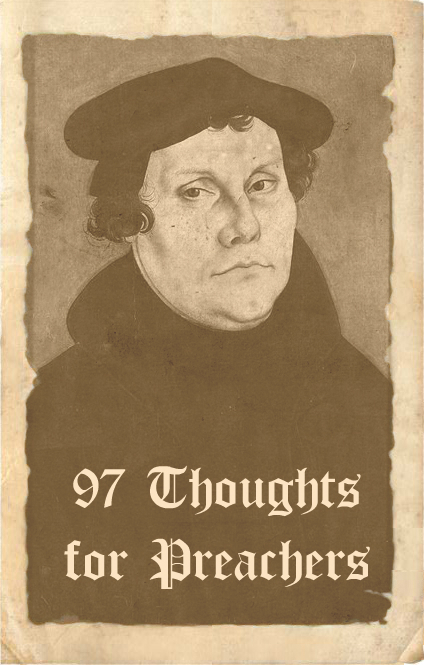 Looks like Luther is back to his Augustine-influenced thinking, but is it biblical? Would the apostle Paul teach the constraining influence of the love of God in Christ, communicated by the Spirit, so that the Christian life is lived not by the effort of the flesh but by faith in Christ? Absolutely. The sinner’s desire is freedom from constraint, but what about those who seem to like law? Is this a sort of natural godliness? Luther underlines the gravitational pull of self-love on the heart, a love that can manifest in rebellion and in religiosity. (87-89.) The law is good, and the will is hostile to it and therefore not good. In order for the law to be reconciled with the human will, there needs to be the mediating work of the grace of God to bring the two together. The law does not lead the will to grace, but grace brings the will and law together. (90-91.) The human cannot love God unless God first gives his grace. That grace is not given to increase good deeds, but because without the grace of God there will never be any good deed, never any act of true love. (92.) If a person can love naturally without the love of God, then the love of God is superfluous and unnecessary. Next time we will be able to finish the 97 and wrap up the series of thought provoking theses. As preachers these theses really poke at the very core of what it is to be human, and consequently, what we are engaging as we prepare and preach.